It’s not just a bag. It’s a movement. The perfect gift for Father’s day and baby shower! A diaper bag that dad won’t shy away from. Specially designed for hip dads (and moms), this cool sack has sporty messenger styling and lots of handy features for on-the-go parents. Because a man deserves better than a flowery diaper bag! As seen on The View, US Weekly, In Style Magazine, Parenting Magazine, TV’s Extra, and in many more. Say goodbye to flowery diaper bags. Now there’s Diaper Dude! Diaper Dude is not your average diaper bag. It was designed with dad in mind. A cool, hip, funky diaper bag that comes complete with changing pad for dads on the go. 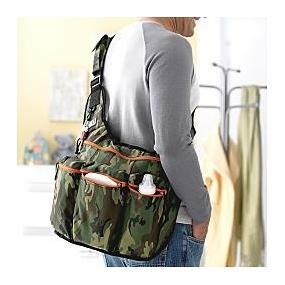 Diaper dude bags have enough space to hold those essentials needed for a day out with dad. Three large front pockets designed for wipes, food, bibs, utensils and more. The main compartment has a special place for diapers, changing pad and is big enough to hold a change of clothes, toys and extras. A bottle holder is at arms reach, so dad can access milk or juice at a moments notice. 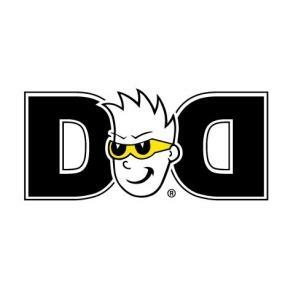 But most of all, Diaper Dude is form-fitting to the body, comfortable, hip and affordable. And moms love wearing it too. It’s not just a bag. It’s a movement! A diaper bag that dad won’t shy away from. The perfect gift for Father’s day and Baby Shower.